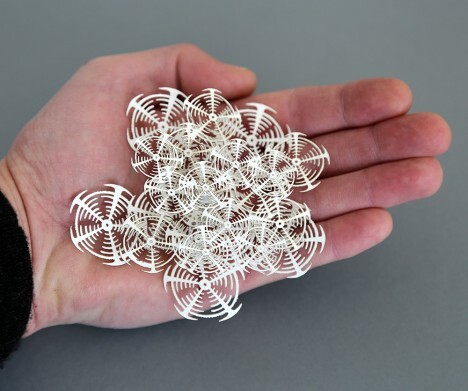 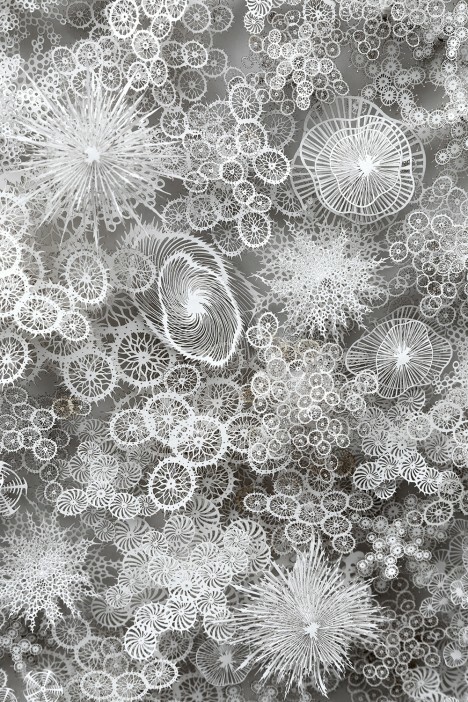 An artist known for spending untold hours painstakingly hand-cutting tiny paper sculptures inspired by diatoms, bacteria, viruses, coral and other natural structures has augmented his process with the precision of lasers. 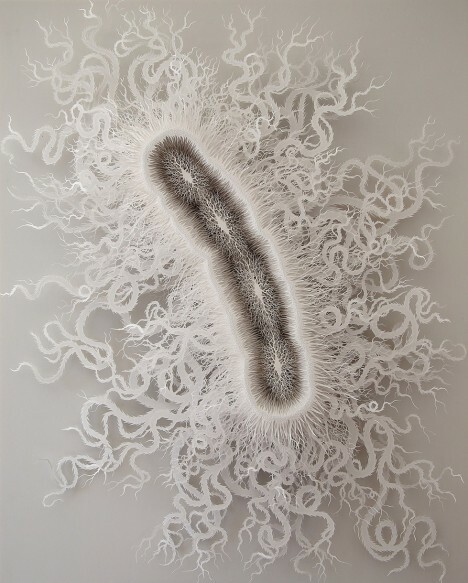 Rogan Brown submerges himself in careful study of the tiniest of living things, such as the microbes and pathogens mimicked in his series ‘Outbreak.’ With ‘Magic Circle,’ Brown places collections of these cut-outs into a large circular display measuring about 40 inches across. 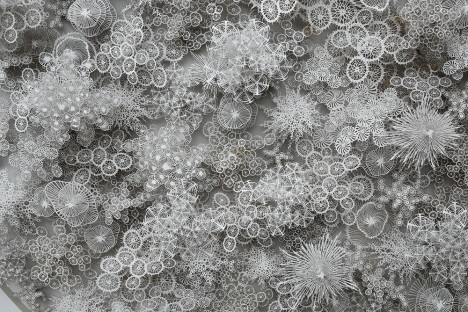 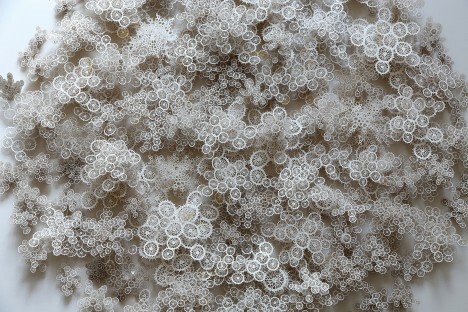 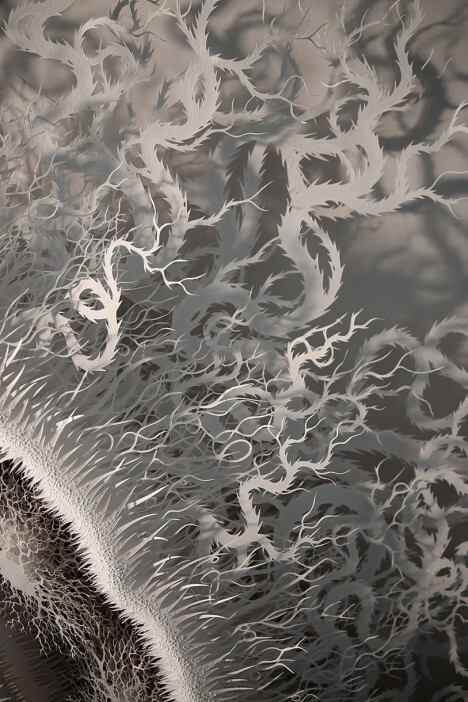 In his paper cuts, Brown “explores the boundaries between observational study and artistic interpretation, existing somewhere between scientific accuracy and pure, unbridled imagination.” While previous works have focused mostly on one type of microscopic organisms at a time, ‘Magic Circle’ brings a variety of them together in one piece. 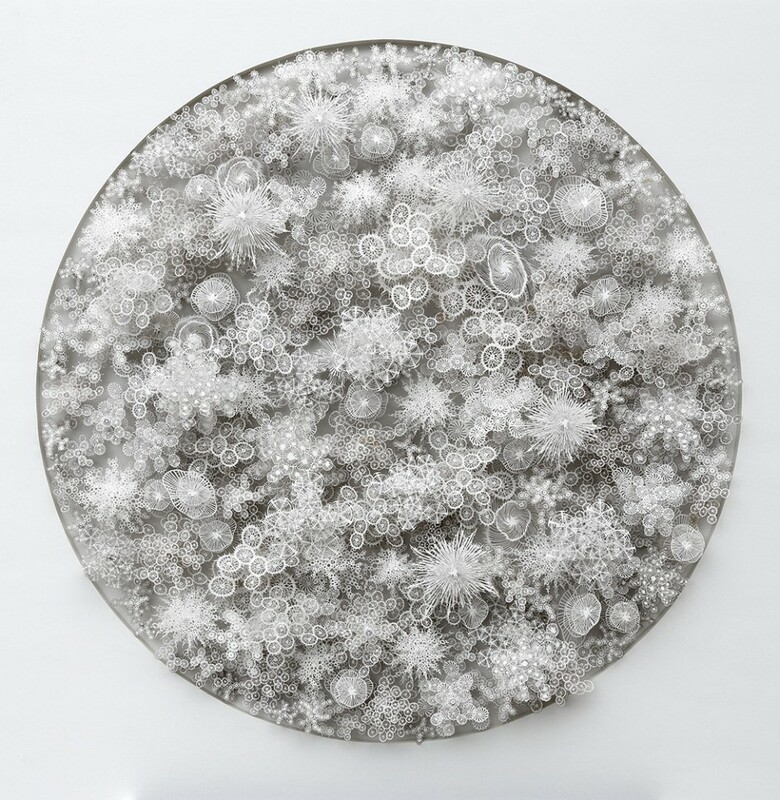 ‘Magic Circle’ will be on display at Miami’s Aqua Art Fair, December 2nd through 6th. 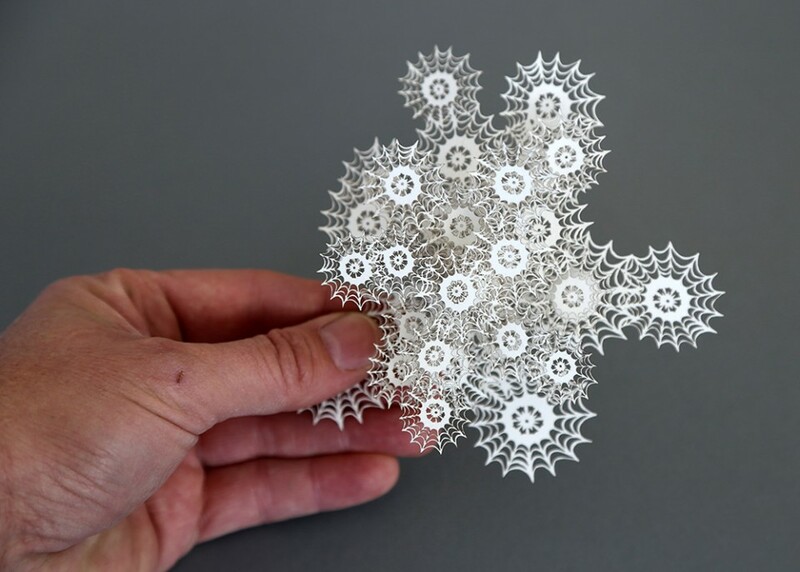 See more impressively intricate paper cuts in a range of styles, from dizzyingly complex patterns to tapestries that span several stories of a gallery.